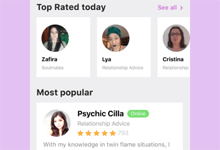 At Zodiac Psychics, you will find a community of professional and compassionate online psychics who are ready to guide you through your most important decisions. It’s simple to sign up and even easier to find the psychic that’s right for you. How to get started in just three simple steps! When you call Zodiac Psychics, you can count on our commitment to providing you with a quality psychic reading. Our psychics have an innate desire to help others as well as being highly-trained and experienced psychic readers. After you have used your initial free minutes, your credit card will be charged to fund your further readings. When your credit is running low, your Zodiac Psychics account will be toped-up from your preferred payment method (credit card, Paypal, etc.). The top-up sum is set by default to be a sum sufficient for five minutes of chat/call. 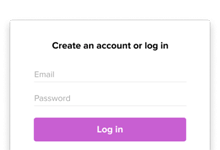 However, you have the option to change this amount before the reading begins. If you do not use the entire sum you have added to your Zodiac Psychics account during a session, your account will remain in credit so that you can use the remainder of the funds for another session. If you do not wish for your Zodiac Psychics account to be topped-up when it’s running low, you may choose the option of “Quit reading” or “Manual recharge”. You can do this before each call/chat or set it in your profile settings. Make purchases with the world's most trusted payment gateway. No Paypal account is required - all major debit/credit cards are accepted.